Poole has always looked to the sea for its prosperity. The sea has shaped its character as a town of merchants, mariners and foreign influences. 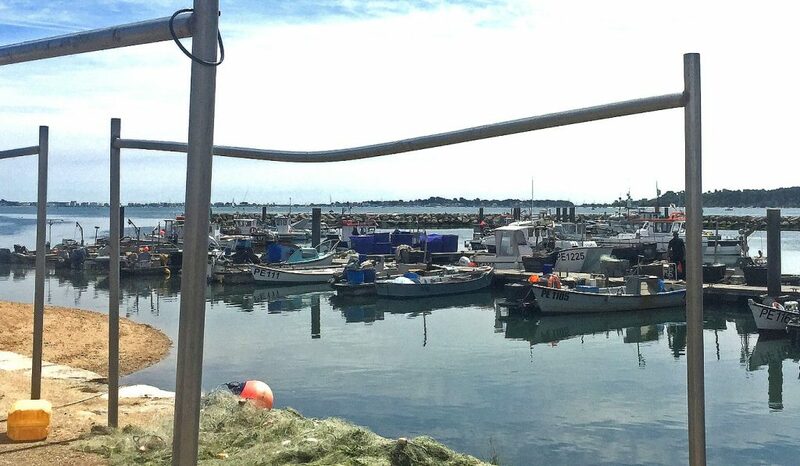 While today, tourism and yacht marinas dominate the Poole Town Quay area, the fishing industry remains an important part of this coastal town. 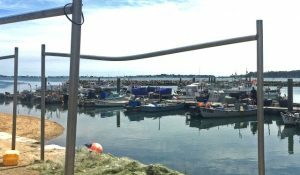 The large number of boats that berth in its Fishermen’s Dock, one of the busiest ports for small fishing vessels in England, means that fishing is still very much part of what makes Poole special. 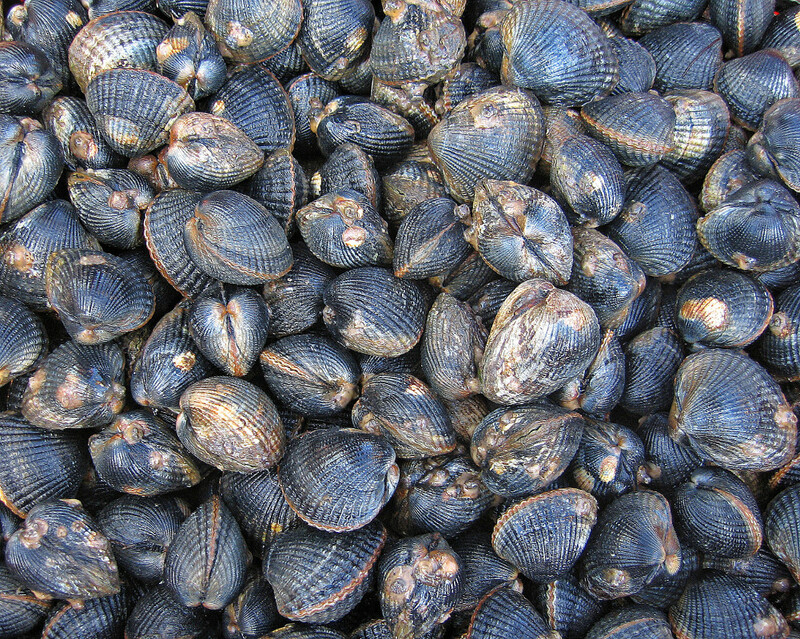 Clams and cockles are a large component of that fishery, and from its ancient origins to more recent developments, these shellfisheries have been important to Poole fishermen. Poole has had a long association with cockle fishing, and on a visit to the town it is good to see that this is recognised by the local council. Visitors to Poole Quay are encouraged to follow a ‘cockleshell trail’, marked out by brass plaques in the pavement, depicting cockles. 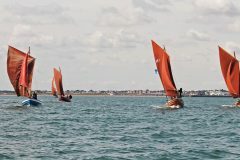 The walk retraces Poole’s rich historical heritage, and tourists are encouraged to learn about the present-day landmarks. Although cockle fishing in Poole has existed since ancient times, the fishery for the Manila clam is a newer development. 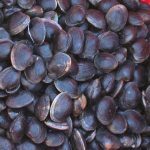 Robert Clark, chief fishery officer of the Southern Inshore Fisheries and Conservation Authority (SIFCA), said: “The Manila clam is one of the top five most commercially valuable bivalve species globally, but a newcomer to Poole Harbour. His words are resonant today – and indeed in this fishery. 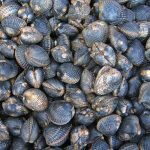 When it came to the spread of clams in Poole, neither expert view was entirely correct, and so it was some time after the clams were first introduced that a wild fishery developed for them in Poole Harbour. 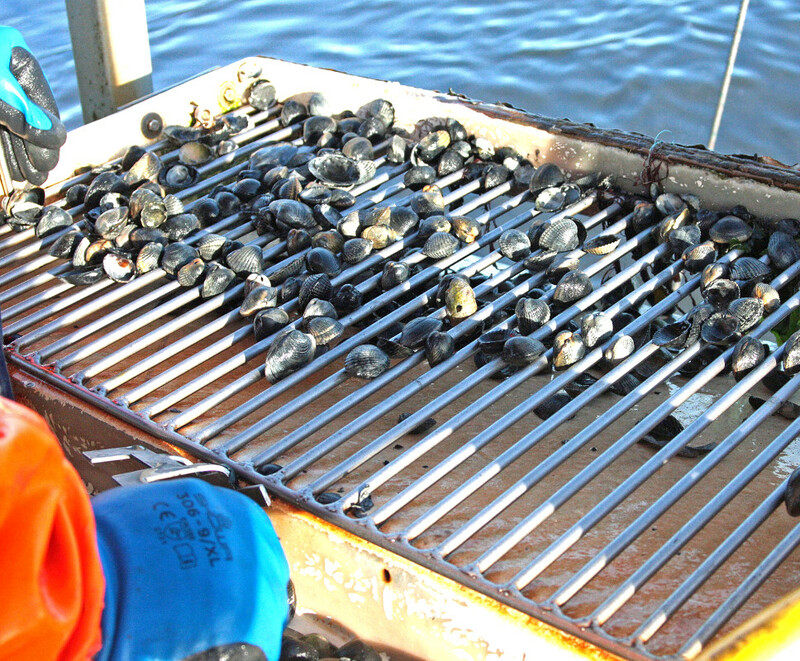 The clams did reproduce and spread, and they became a valuable commodity for Poole fishermen. 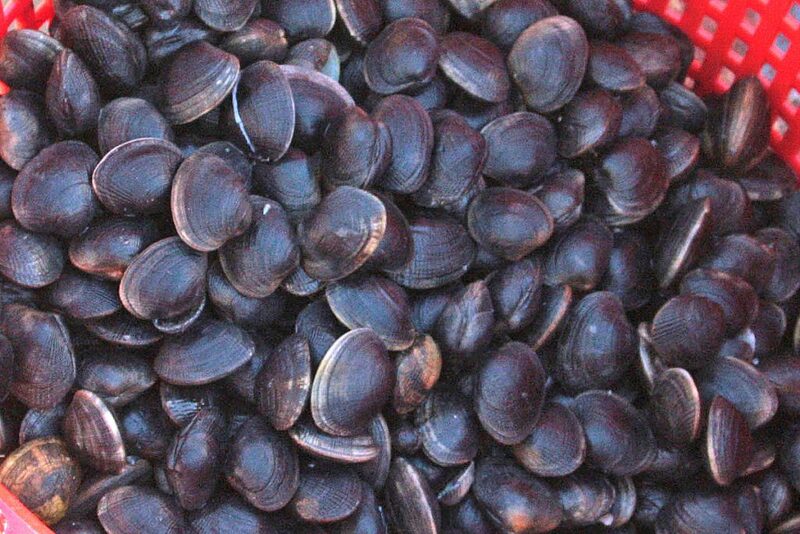 The Manila clam did not, however, cause damage to native species. 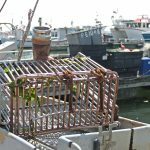 Instead, it has become not only one of the mainstays for local fishermen, but also an important source of food for birds which overwinter in Poole Harbour. 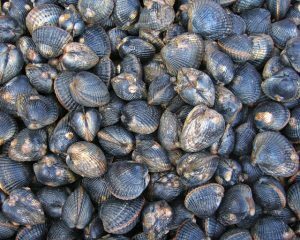 Robert Clark continued, “Although there is no longer aquaculture for clams, they have naturalised and today provide a fishery for the 45 permit holders in Poole Harbour. 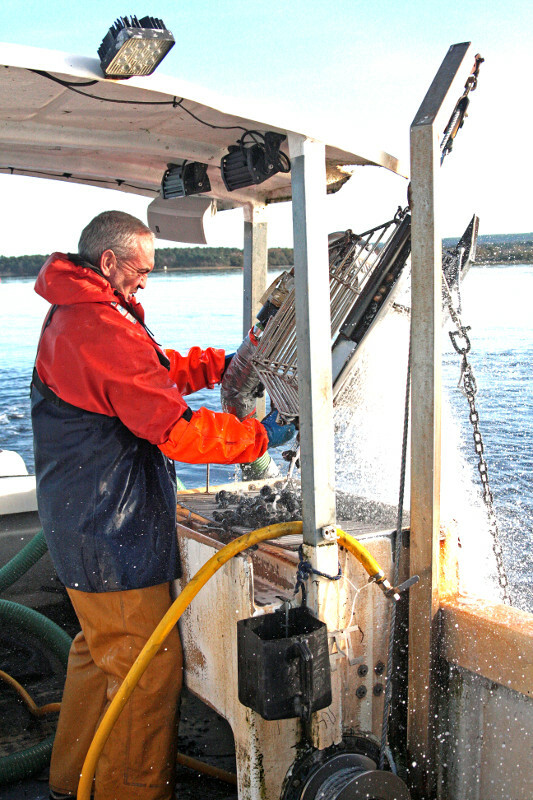 Fishing for clams and cockles in the harbour is carried out using a hydraulic pump-scoop dredge operated by U10m boats – a fishing method unique to Poole Harbour. A clam/cockle dredge, with the Poole fleet in the background. Southern IFCA has been very protective of fisheries in its area, and endeavours to support local fishermen. 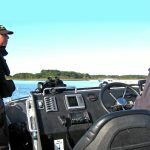 In the past few years, any illegal fishermen who have not abided by the rules have been prosecuted. 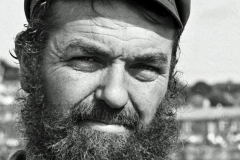 “We are lucky that the fishermen of Poole and surrounding areas are dedicated to making the region’s fishing the success it is, and we all communicate on a regular basis,” added Robert Clark. 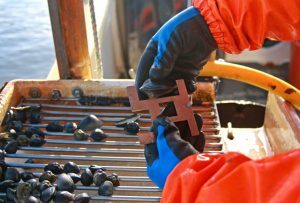 The breakthrough in management came in 2016, with successful regulation of the fishery as a consequence of the partnership between fishermen, SIFCA as the managers, and others. This partnership has delivered benefits. 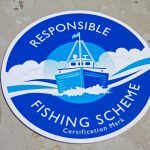 Responsible Fishing Scheme certification mark. A recent report by the New Economics Foundation estimates that the fishery for clams is worth £838,911 per year at first landing, and that once value-added multipliers are applied (which account for the full contribution to the local economy), its value is in excess of £1.4m. 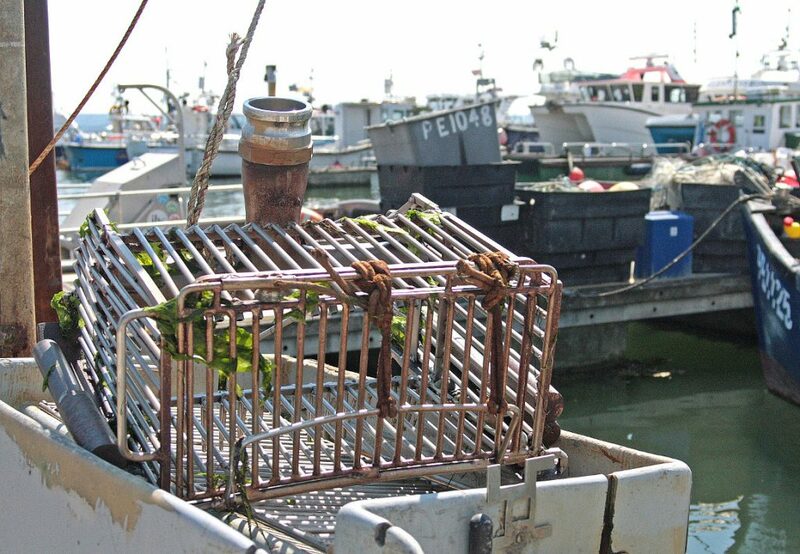 The success in Poole has been delivered through achieving a balance between the needs of the fishery and the protection of the marine environment. 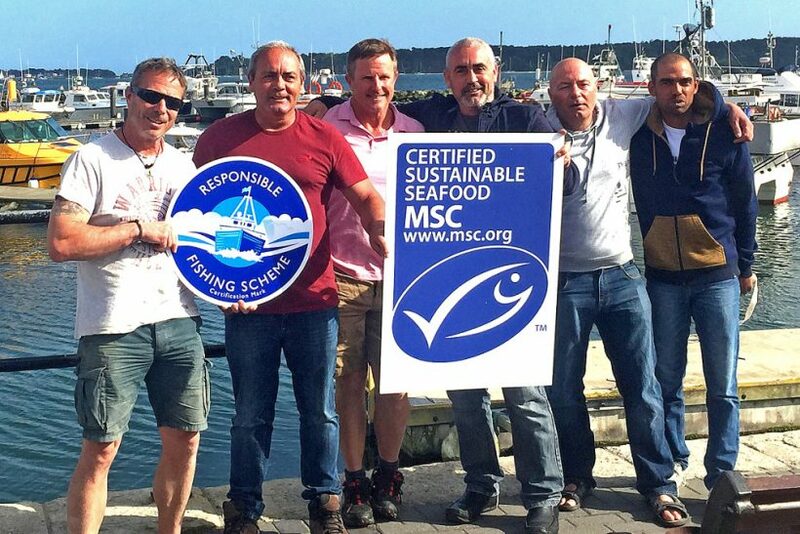 In recognition of this, the Poole Clam and Cockle Fishery has now been awarded the coveted certification of the Marine Stewardship Council (MSC), enabling it to sell its fish produce using the charity’s blue fish-tick label. Measuring the catch to check MLS. Tommy Russell is chairman of the Poole and District Fishermen’s Association and a clam and cockle fisherman. As a representative of the fishermen, he knows well the importance of building confidence in the fishery, as few outside the industry have a good understanding of what is involved. 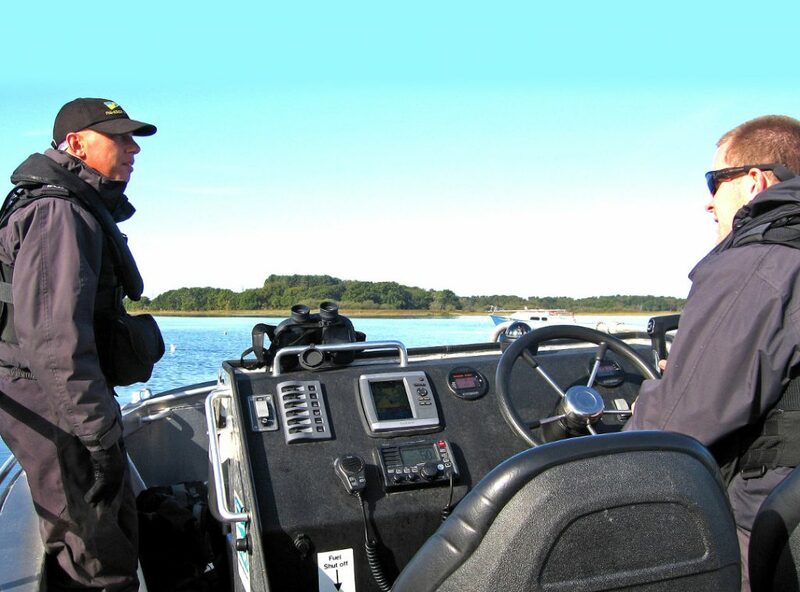 “The decision to grant a certificate to Poole Harbour is a vote of confidence in the fishery. The Poole fishery is an important source of jobs inshore and on the water,” he said. 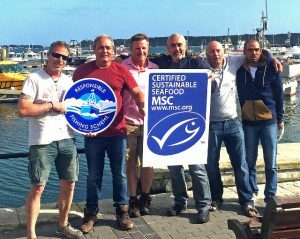 Fisheries that meet the MSC standard are able to sell their produce in restaurants and supermarkets bearing the blue fish-tick label, so the certification has the potential to open new market opportunities for the fishery. 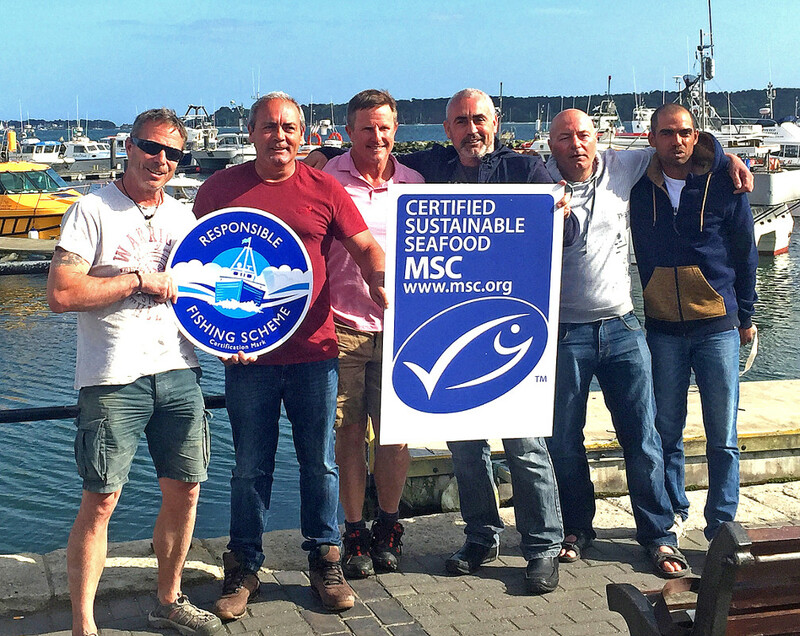 The MSC’s label tells shoppers and diners that the fish has been caught in a sustainable way. A pump-scoop dredge in action. In a busy coastal town, fishermen can be overlooked, and competition for space on our waters and on the quays is fierce. Fisheries management around MPAs is often complicated and views are aplenty, whether or not they are well informed. The certification of the fishery against global standards means that the fishermen can show that they meet industry best practice and that stocks are well managed, and this gives confidence to town hall chiefs that the fishermen’s needs should be recognised and protected. “Achieving success is what it is all about,” Robert Clark said. 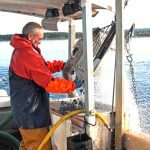 “The development of management that has led to the turnaround and transformation of the fishery is a consequence of the hard work of many people and organisations, who worked together to achieve a sustainable fishery. Tommy Russell, chairman of Poole and District Fishermen’s Association, with Emma Rance of Dorset Wildlife Trust, after completing the Seafish RFS process. SIFCA fishery officer Sarah Birchenough works from commercial fishing boats to analyse the population of clams and cockles each year. 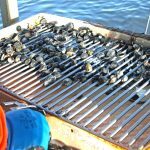 The fishery has various measures in place to keep the shellfish populations healthy, including restricting entry to the fishery, protecting sensitive areas, and having a closed season. 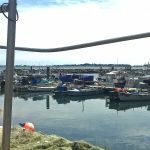 “Close collaborative working between the fishermen in Poole, SIFCA, partner organisations and other stakeholders has resulted in the fishery taking a great leap forwards toward sustainability,” said Sarah Birchenough. 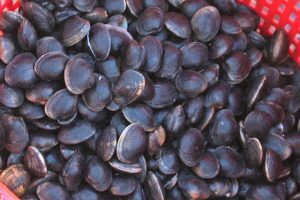 Clams being sorted on a riddle – undersize clams are immediately returned to the sea. 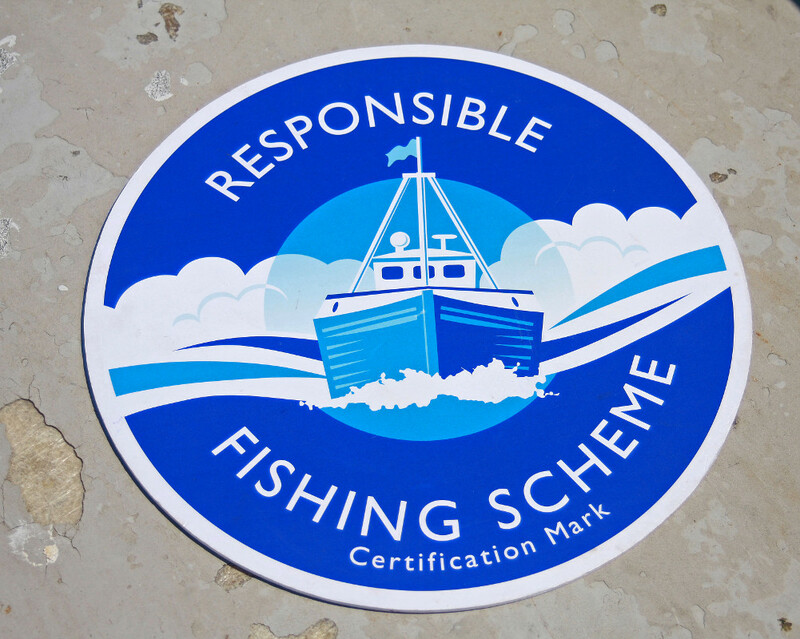 The fishery is not just certified against the MSC blue-tick criteria; Poole fishermen have also entered the Seafish Responsible Fishing Scheme (RFS). Fishermen’s Dock in Poole Harbour. Fourteen vessels from the fishery recently achieved RFS-certified status, adding to their MSC certification. This means that the fishery has been recognised for best practice in environmental sustainability, while its skippers and their vessels have been recognised for their high standards and social responsibility. This is the first time these two certifications have been awarded to a single fishery anywhere in the world. Fishery officers Sam Dell and David Mayne onboard SIFCA’s patrol vessel in Poole Harbour. The double certification allows fishermen to demonstrate their industry-standard best practice of responsible stewardship and crew welfare. 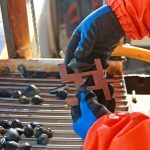 All audits are carried out by independent and robust third-party assessors. It also provides a marketing opportunity, through each fisherman’s application listing on the RFS website. 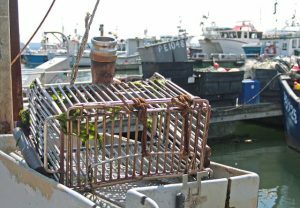 Large retailers are committed to only purchasing through the RFS and they, along with others, can gain insight into the vessel and the methods used to procure the seafood. 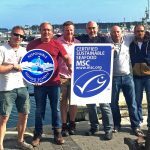 The MSC will, of course, provide traceability on the seafood, from sea to plate. One of the more surprising partnerships which has developed is the involvement of the Dorset Wildlife Trust. 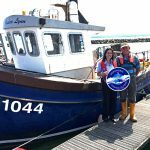 Fishermen are busy, and while they were working hard at their catch and maintaining their boats, it was Emma Rance from the Wildlife Trust who was on hand to aid the fishermen with their applications. The partnership has given a real sense of pride in the fishery. 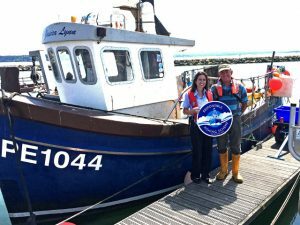 Fishermen are at the heart of Dorset’s first officially certified sustainable fishery, and the UK’s first certification for clams. In time, the double award of MSC and RFS will increase the value of these sustainable species, as well as benefiting the fishery, and Dorset’s local economy too.